Yesterday we worked on a tallying string times with reduce. You can keep track of all the projects we're building here. 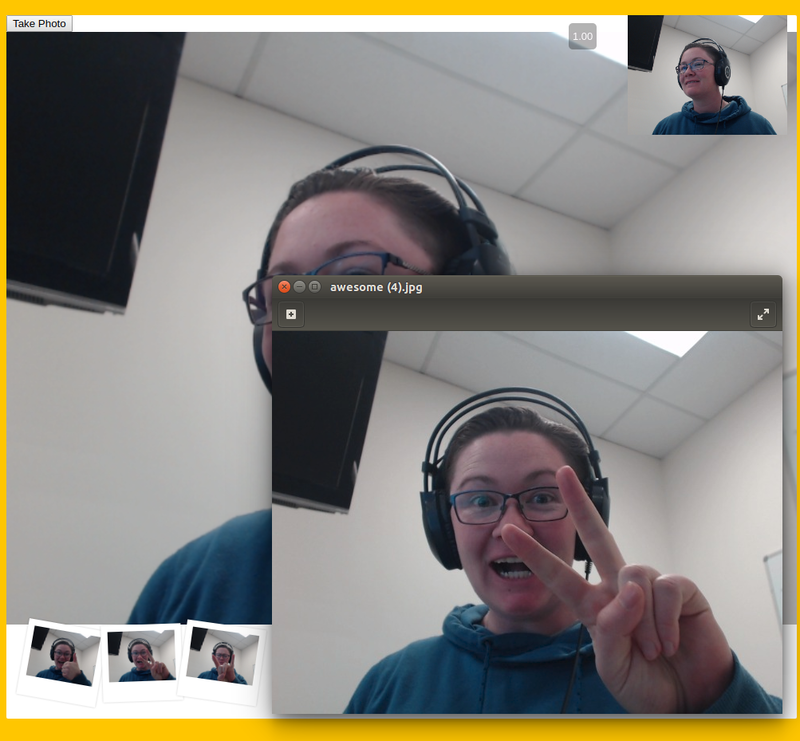 Today we're having some fun playing around with the webcam. 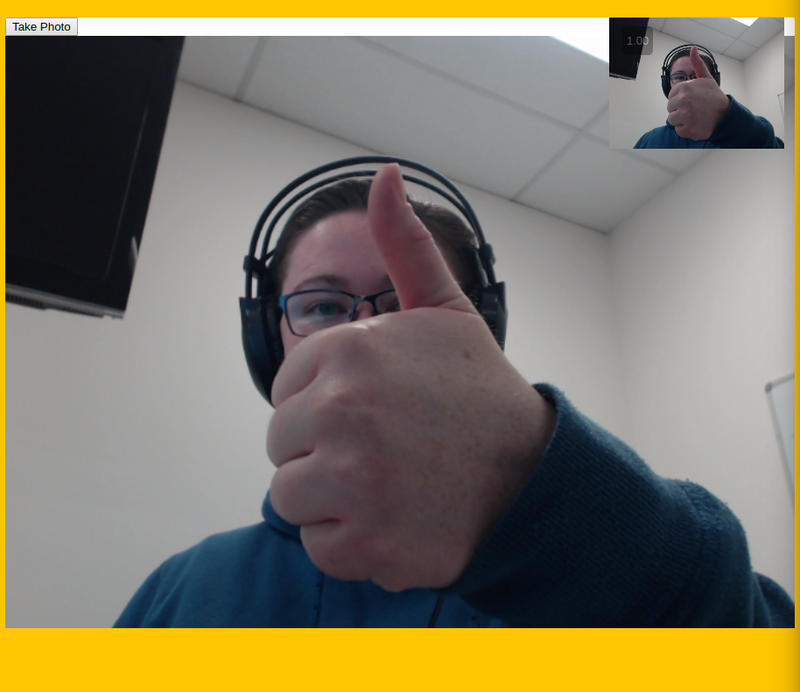 Today we are taking our webcam input and porting it onto a canvas element. We will be adding a whole bunch of fun overlays and even creating our own green screen filter. COOL! First up, we have to get our project running on a local server. This is to do with the security restrictions on getting access to the webcam. Wes has already written the requirements for us using browser-sync so all we need to do is npm i & npm start. First up we have to access the video camera feed. 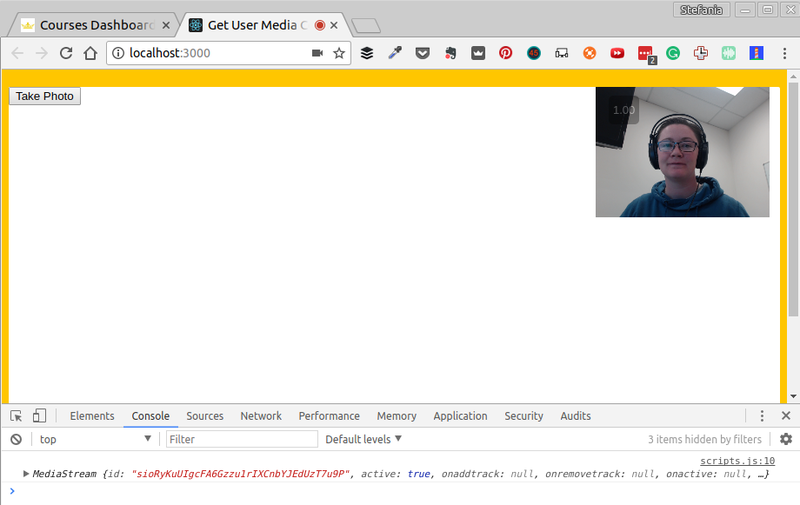 To do this we use the MediaDevices.getUserMedia() method. This will return a promise depending on whether the user allows or denies the webcam access. We can await a valid response from this and then pipe the video blob into a localURL and then onto the video player. Now that we have the video feed we want to paint this onto the canvas. We first have to set the width & height of the canvas equal to the width & height of the webcam feed. Then we need to set the canvas to draw an image from our video every 16 milliseconds. Now we have a replication of the video on the canvas that we can play with! Now we want to implement the ability to capture a screenshot from the video. Now we want the user to have some audio feedback whenever they take a screenshot so we will put this in first. We just need to ensure the audio file is always reset to the beginning before playing it. We then will need to access the data from the canvas and output it as a jpeg. Then we want to create a link and set the attributes of it to download the image. We also want to create some JSX that will print out our image. Then we want to insert this into our strip HTML element. Where r1 = the red value for the first pixel, g1 = the green value for the first pixel etc. With this knowledge we can take this massive array and alter the colours of the video. Then we need to iterate through the pattern that we identified earlier and edit the RGBA values. Note, the pixel array doesn't have the standard array methods available on it so you need to use a for loop. For the next filter we do a for loop over the pixels array but this time we move a specific colour range to the left or right. This gives an awesome split/3D effect. We also added a globalAplpha to the canvas that shows a transparency of the previous image over the current one so it gives a ghost like effect. The final filter that we're going to put in is a green screen filter. This is AWESOME. 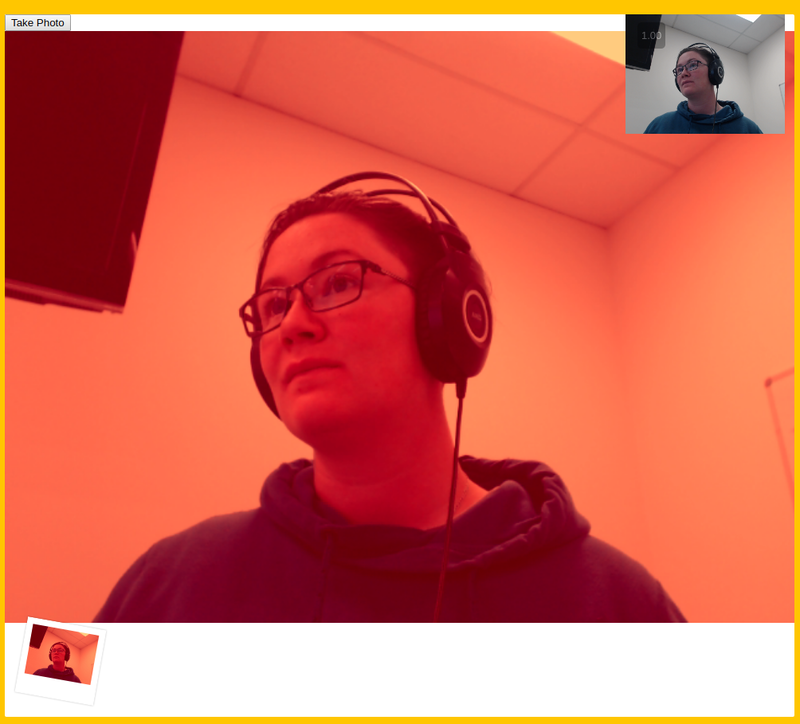 It allows you to select the specific colour that you want to omit from the video feed. So we could put a video or image behind the video and the background would be transparent so this would show through. GREAT. To make this happen we need to create an object to hold the 'green' colour range that we are looking for, access to the sliders in the UI, and a massive for loop that will check if each pixel is within the 'green' range (and if it is set the alpha to 0). Now we have lift off! You can play around with the webcam and filters here.